Oooh, boy, wrapping paper. And bows. And RIBBONS! Best Christmas EVER! yep. He loved it. Lots of good stuff! The joy of empty boxes and used wrapping paper. I remember when the kids could amuse themselves for hours with empty boxes and they are every cats treasure. 🙂 Happy New Year Hobbes. Hobbes says thanks- he said it over his shoulder as he’s dozing by the fire now. 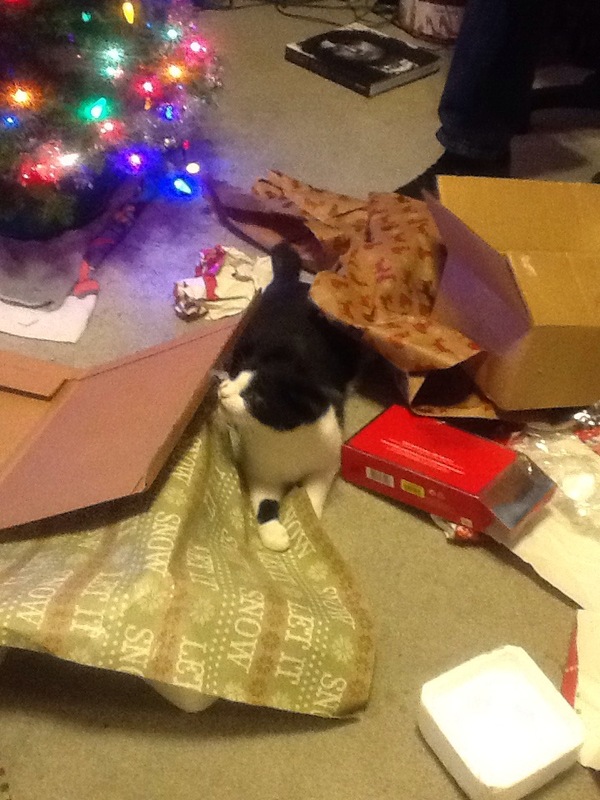 He had a blast – his fav thing is the wrapping paper.